Making a Murderer’s Brendan Dassey was sentenced to life in prison at just 17 years old. Loyal viewers of the Netflix original series will remember that Brendan Dassey’s story was among the most heartbreaking elements of the show, demonstrating the failures of the American juvenile justice system. After multiple unsuccessful attempts to appeal his conviction, Brendan’s case appeared to be a lost cause. However, after the series premiered and highlighted evidence showing that Dassey’s confession was both involuntary and unconstitutionally coerced, US Magistrate William Duffin made the decision to overturn the original conviction on in the summer of 2016. Unfortunately, before he was released a federal court of appeals upheld Dassey’s original sentence and he remained incarcerated. Just days ago, the United States Supreme Court announced that they would not hear his case, meaning it is unlikely that Dassey will be released anytime soon, if at all. But the fact that this case was resurrected and the public’s concern caused the courts to reconsider is a huge win for individual justice. The Brendan Dassey situation represents a growing phenomenon currently taking place, where access to technology has transformed regular citizens into effective advocates for criminal justice reform. In fact, thanks to the affordability of products like smartphones and tablets and cheap services like Netflix and iTunes, justice has been able to prevail in spite of our broken criminal justice system. For about twelve dollars a month, Netflix subscribers get access to a variety of films, documentaries, and television shows, including original Netflix programming like Making a Murderer. 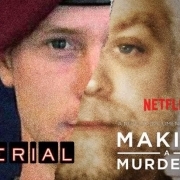 In our modern world where streaming technology is available to anyone with internet access, Dassey’s story, which went unrecognized by the general American public for almost ten years, is now available to anyone with a Netflix subscription. Whether intentional or not, by sharing Brendan’s story, the creators of the series launched a national crowdsourcing effort to demand justice for Brendan Dassey. Calls were made, letters were written, and local Manitowoc County law enforcement officers were bombarded by faithful viewers who were convinced that the prosecution got it wrong. As a result, Dassey had his conviction overturned and will now either walk free, or, at the very least, receive a new trial. However, this “vigilante” form of criminal justice activism is not unique to Brendan Dassey. Podcasts have become an effective way for individuals to share their message with the entire world at extremely low costs. Like Making a Murderer, the podcast Serial, which in turn resulted in the follow-up broadcast, Undisclosed, sought justice for Adnan Syed, who was charged and later convicted of murdering one of his high school classmates in 1999. The respective podcasts were both created to expose the holes and inconsistencies in the prosecution’s narrative against Syed. Additionally, since the case in question is nearly 20 years old, there have been technological advances made in the years since the trial which could potentially prove Syed’s innocence. The two podcasts were extremely successful and caught the attention of the judge responsible for deciding whether or not Syed would receive a new trial. A few summers ago, Judge Martin P. Welch announced that he would grant Adnan Syed a new trial based on information revealed during an episode of Undisclosed. The prosecution had used data obtained by cellphone towers to pin Syed to the scene of the crime. While this data can be used to locate the general vicinity where a mobile device was used, we now know that the data cannot be used to identify the precise location, nullifying a major element in the prosecution’s case against Syed. Both the Undisclosed and the Serial podcasts are available to listeners for free. Thanks to modern advances which have made both recording equipment and broadcasting capabilities more affordable and accessible than ever before, listeners around the country were acquainted with Syed’s story and encouraged to speak out against injustice. Two individuals getting a second chance at justice may not seem very significant in the grand scheme of things. 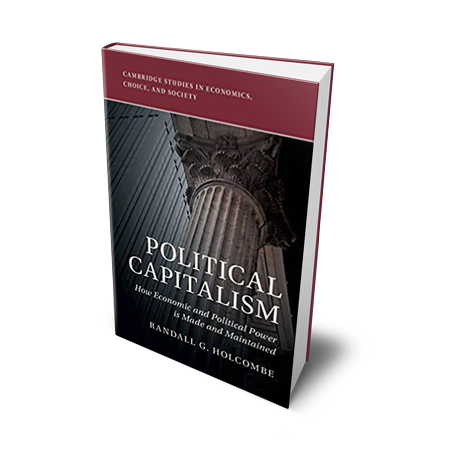 However, since competition is an essential and organic element of the free market, it should not be shocking to learn that Serial, Undisclosed, and Making a Murderer have already encouraged others to make their own original podcasts and series, sharing personal stories of injustice and inspiring others to act.